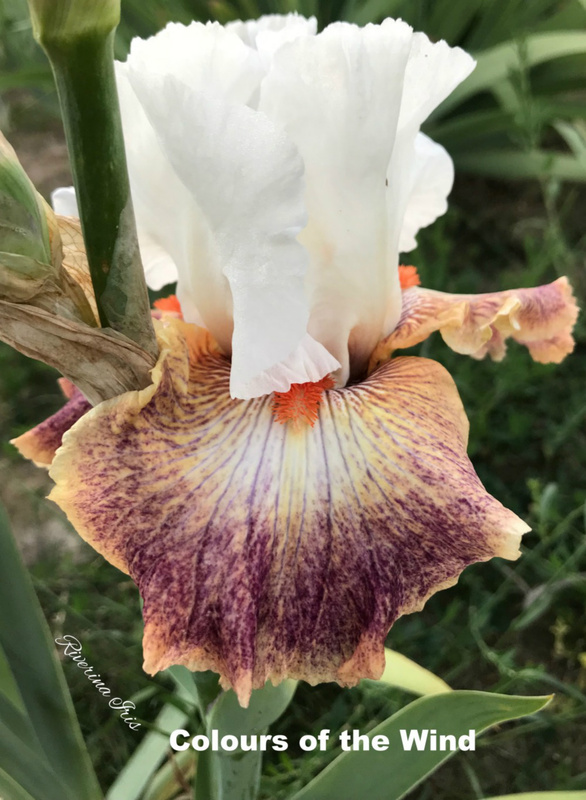 Welcome to our website where we normally offer Tall and Dwarf bearded iris and Daylilies from our collection of almost 1500 varieties. With the extreme heat we experienced over Summer we are reluctant to take further orders other than my pick orders. However, if you see something you really like - Please ask as I will need to carefully check supplies before accepting your order. Many varieties will be available again next season assuming these tough plants recover from the extreme heat. We apologise for any inconvinence. Also hunderds of new photos and some new varieties will be added as I process all the new photos taken in Spring. Start making you wish-list and follow us on Facebook to see when the Shop is updated again. Thank you for your patience. We also have a hard copy catalogue - please message me with your address to request a copy. Our iris garden was started in 2013 and each year we have added new beds and varieties. There are limited numbers of each, however we will do our best to supply your order or substitute from your wish list. 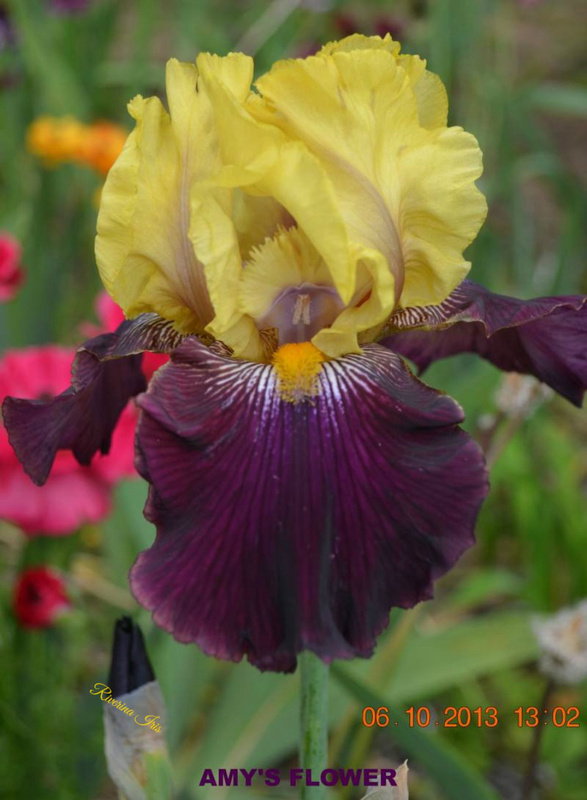 The online shop has three main groups - Tall Bearded Iris and Medium and Dwarf Iris and Daylilies. We open from 12th October 2019 to 3rd November 2019 (10 am to 5 pm) where you can enjoy morning and afternoon tea by donation for charity - this year we will be supporting our farmers by donating to the appeal to buy hay for the worst drought affected areas. Groups are welcome on weekdays and teas will be provided by special arrangement. We will open other days by appointment. We also have approximately 200 daylilies which flower over summer. We will open on the weekend of the 9th and 10th of December 2019 and throughout the summer by appointment to view the daylilies. Limited numbers will be available in pots at the Iris open gardens in October. 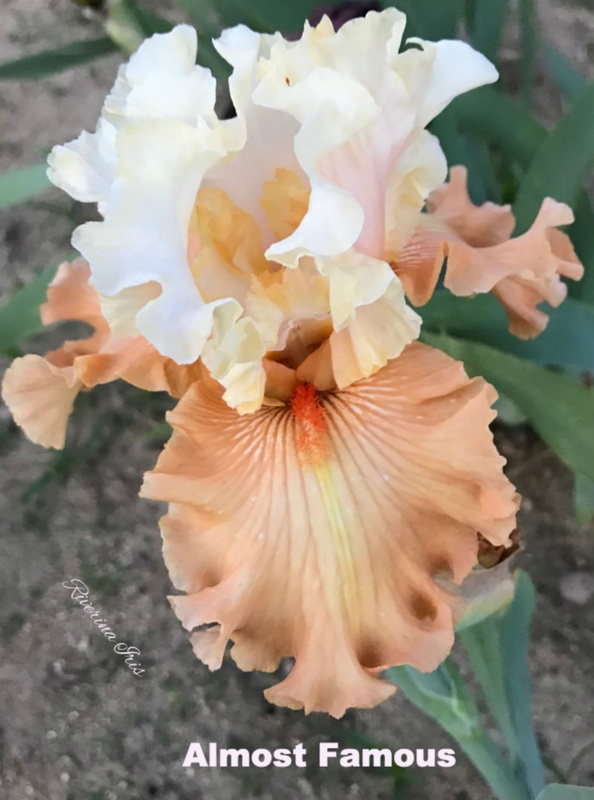 For news updates and information on our open days please follow us on FaceBook - Riverina Iris Farm or Riverina Plants and Gardening. Many new photos are shared on these sites. This garden on the edge of Wagga Wagga was inspired by my Mother Mary's love of irises and it is with great pleasure we share these wonderful hardy plants with keen gardeners all over Australia, particularly those within the southern inland of NSW. Additional information can also be found on the My Open Garden website. We look forward to meeting you. You can message us in the guestbook or contact us by phone or email. 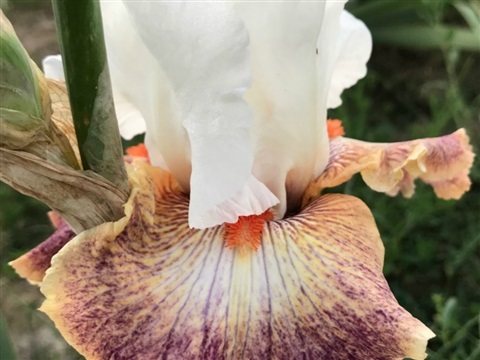 Riverina Iris Farm established in recent years with the initial display beds planted in our garden in March 2013 with additional collections planted in our paddock each March from 2014 until 2019. We now have almost 1500 varieties. 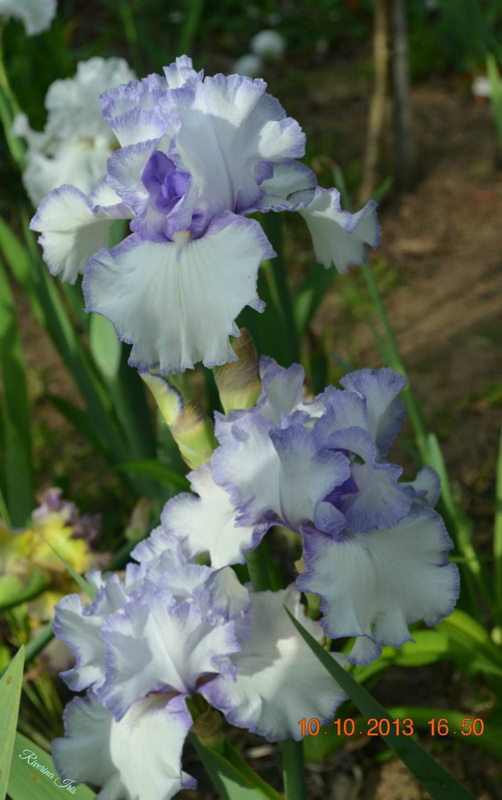 Irises are easy care plants once established and some growing tips are included to assist you achieve good results in your garden. We prefer to dig and deliver rhizomes in March however arrangement can be made at other times. Local orders will be available at an iris pick-up weekend in mid March or orders can be posted. 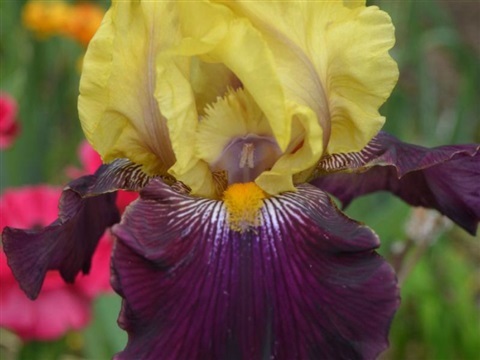 Some irises may be available at the open garden for immediate delivery. You can get in touch with us by phone or email or leave us a message using our Guestbook. We will make sure we get back to you as soon as possible. 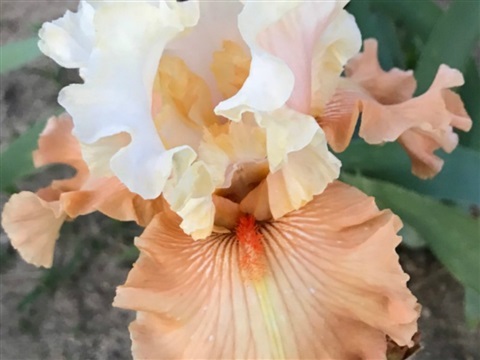 Some 1000+ varieties will be listed in the Online Store or catalogue which were gathered together from several leading Australian Iris breeders and some from overseas breeders. Approximate 80 daylily varieties will be available in limited numbers. Click on each photo to see each variety enlarged. 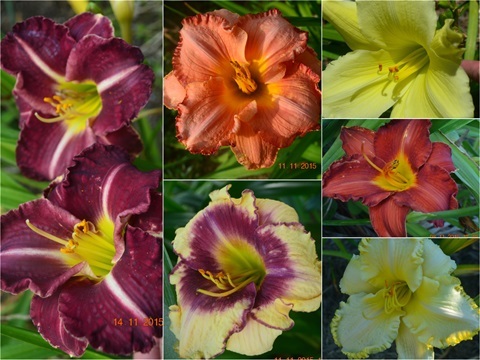 Photos of some varieties to be added when available. * Some varieties will have very limited supplies in 2019. If you require more than 2 of any variety please check with us on availability. 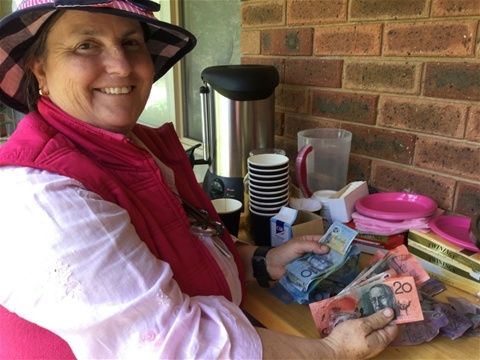 Money raised for the Riverina Referral Hospital, Enjoy! !